Great news! 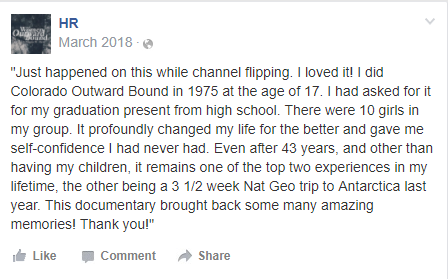 Now you can find Women Outward Bound on Amazon Prime. 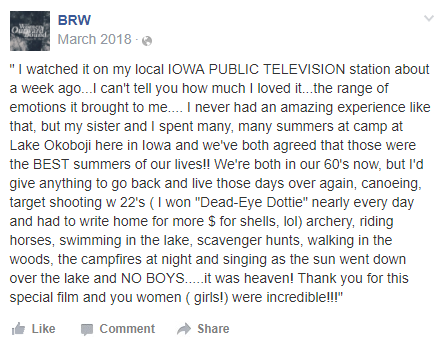 On March 20, 2018 TPT - Twin Cities PBS hosted a 'Women Outward Bound' viewing party at their studios during the LIVE broadcast. 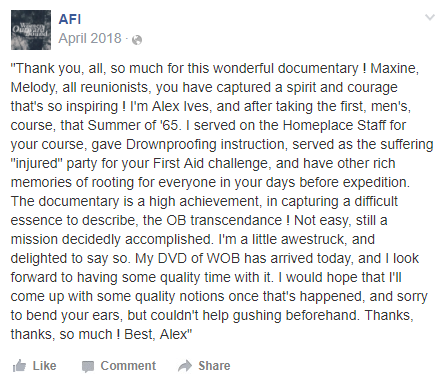 The whole team behind the 'Women Outward Bound' documentary was there, director Maxine Davis, cinematographer/editor Nick Clausen and producer/writer Melody Gilbert and a couple of the women who participated in the first all-women OB in 1965. 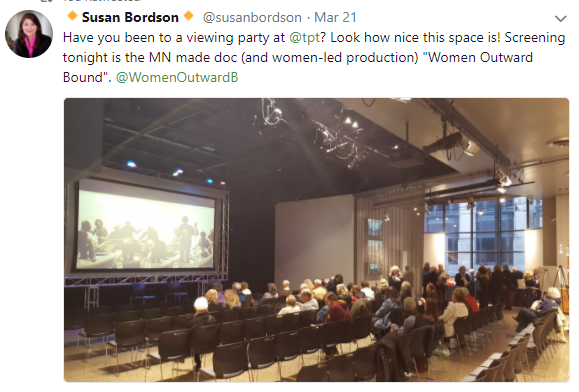 A big thank you to TPT for hosting the party, to American Public Television for distributing WOB and bringing it to you, to everyone who came to the party, to everyone who keeps supporting the documentary! Screenings, screenings and more screenings! March is going to be an eventful month for Women Outward Bound. 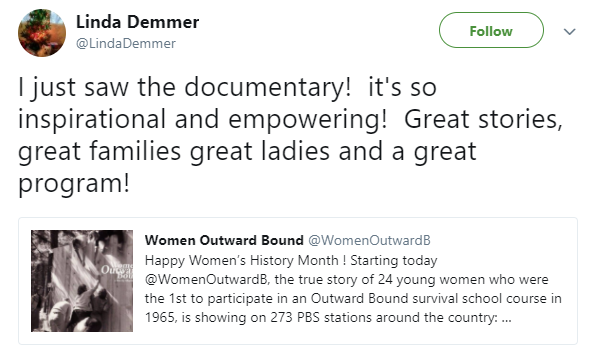 Starting March 1st, just in time for Women's History Month, our documentary is going to be broadcasted on 273 public television stations across the country! 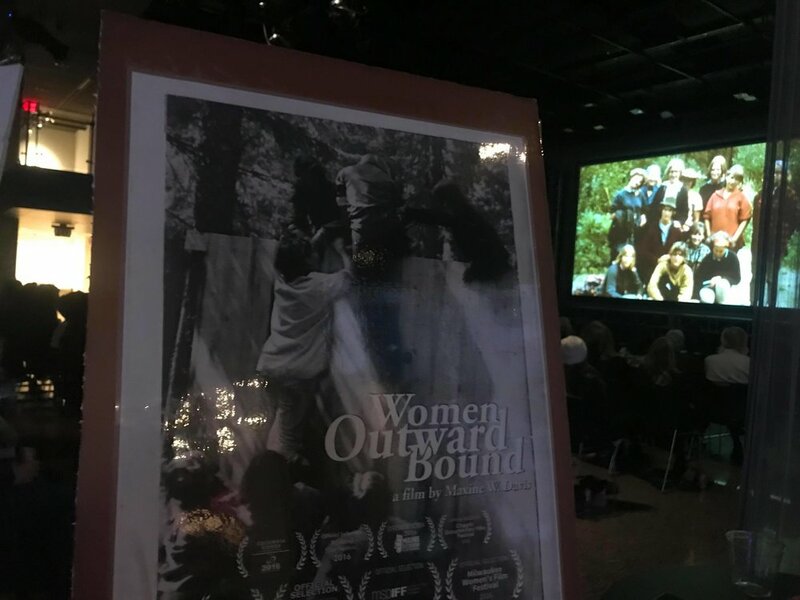 Also, many other organizations are hosting their own screenings like Philadelphia Outward Bound School who on March 8th at 7pm at the WHYY is hosting a FREE screening of Women Outward Bound with director Maxine W. Davis in attendance! A MN-Made Documentary Features the First “Outward Bound” Survival School for Girls in 1965. So, so excited to share that Women Outward Bound was included in Reel Paddling Film Festival's 2017 WORLD TOUR!! 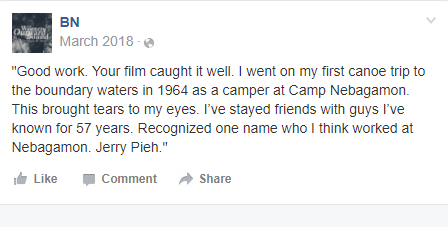 Now more people can see our documentary! Please go to their website HERE and check the tour dates. As of now there are screenings in US, Canada, and International (Glasgow, Scotland for now) but you can also host a RPFF 2017 screening if you want. Moreover, Women Outward Bound is eligible for the Aqua-Bound People’s Choice Award as voted on by ticket holders! Thank you Reel Paddling Film Festival for including us in your program! Ashland, WI here we come! We got another film festival appearance coming up on November 11 at Big Water Film Festival in Ashland, WI !! We are happy and honored to be part of it! Thank you! For more details about our screening please check HERE.